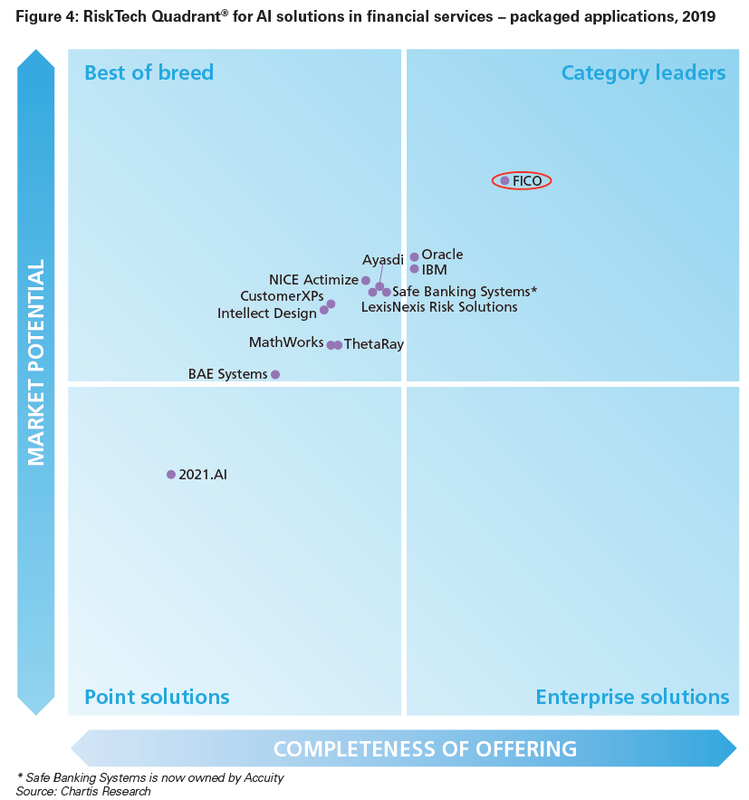 Chartis Research has named FICO a category leader in the AI in Financial Services, 2019; Market and Vendor Landscape. FICO was named a category leader in both AI analytics and packaged AI applications. 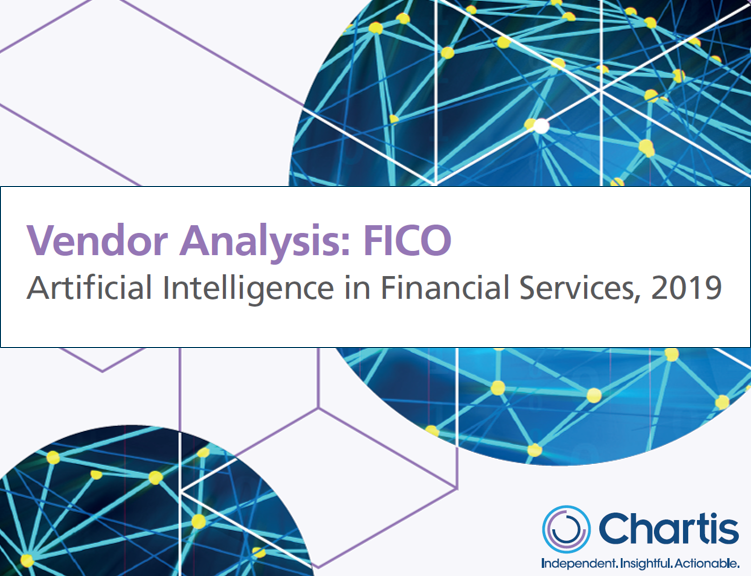 A supplementary report, Vendor Analysis: FICO; Artificial Intelligence in Financial Services, 2019, takes a more detailed look at FICO’s rating and capabilities. *Note that these statements and the RiskTech Quadrant® were published by Chartis Research as part of a larger research document (“Vendor Analysis: FICO; Artificial Intelligence in Financial Services, 2019”) and should be evaluated in the context of the entire document. Chartis evaluates all vendors using consistent and objective criteria, and does not endorse any vendor, product or service depicted in its research publications, nor does it advise technology users to select only those vendors with the highest ratings or other designation. Chartis Research’s publications consist of the opinions of its research analysts and should not be construed as statements of fact.